We are pleased to reveal a mid-week break rate to our returning guests – a secret between us! 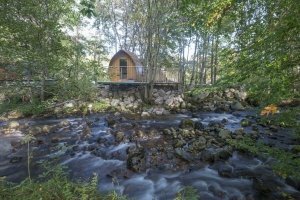 Stay two nights in a wee lodge with hot tub, for just £199 in total for both nights! This offer is valid for mid-week stays between Sunday and Thursday, from now until the end of February (excluding school holidays, etc. etc.). To enjoy this very, very special deal, please check the dynamic calendar below to view available dates, and make the reservation as soon as possible by calling 01855 413 006 (9am-5pm, 7 days).